Congratulations to Barry Convery on his success being crowned the 2013 SOUTH ARMAGH WARRIOR. This was a free event with a voluntary donation on registration .The monies donated were be given to the charity of the winners choice. 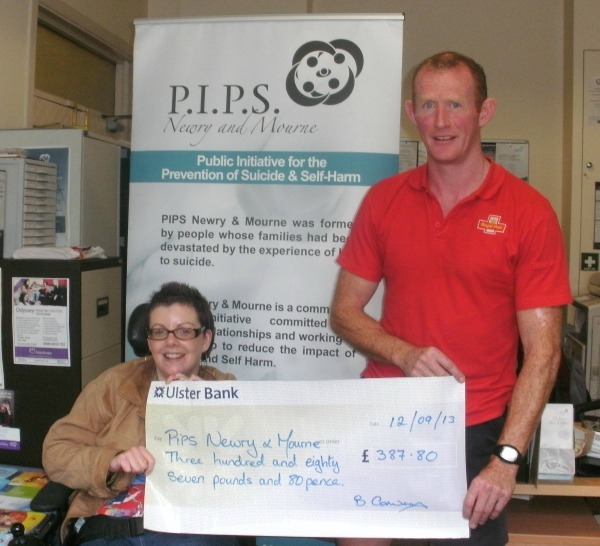 PIPS Newry and Mourne would like to thank Barry for donating his prize money to us.